This is one funky book, a fascinating look into the disintegration of a mind when a guy with a mental/mood disorder goes off his meds. 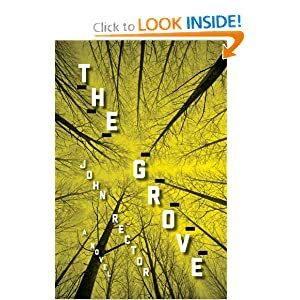 It starts when the farmer finds the body of a high-school girl in a grove beyond his cornfield and doesn't go to the authorities. Soon he's having conversations with the girl, which degenerate further into psychosis as the body decomposes. It sounds morbid, but it's actually fascinating. Rector knows what he's doing. I'll have to check out his other books. I've seen Sibella here and there on the interwebs, but when I saw her interview on Writers On Reading, I realized I'd never read any of her books. So I jaunted down to my favorite Kindle store and got the first in the series. This book won the Christy for first novel, which is saying something when your competition is Tosca Lee! It's a good story (Raleigh Harmon, forensic geologist turned FBI special agent in Richmond, VA) with good pacing and good characters and a great start for a series. You get a feel for the history of the town, the vanishing Southern culture, the miasma of racial tension. And then there's the case nobody wants solved except for Raliegh. Not even the mayor or Raliegh's boss. I'm definitely reading the whole series, and anything else Sibella writes. I read this book quite a while ago and didn't care for it, much. However, I just listened to this interview with the author from 2007 and was quite intrigued. Might re-read it one day. So, check it out. Or else. Collins can write, which comes as no surprise. He wrote Road to Perdition. This was an early attempt to reinvent the noir tradition. As indicated in the notes, his mentor and his agent said he needed to rewrite it because it was in first-person and over 100,000 words. His other mentor, Mickey Spillane (!! ), called it the best private eye novel he'd ever read. 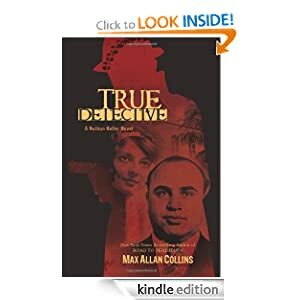 Collins fired his agent, finished the novel, and it sold to the first publisher his new agent shopped it to. He went on to write 18 Heller novels, so far. I have likes and dislikes with this novel, mostly likes. Great noir vibe, first person voice nails it. Great story woven into actual historical events with actual people from 1932. Buckley did this with the Blackford Oakes espionage novels and I ate them up. Collins brings it with the Heller series. My only dislike relates to excessive backstory, which is info-dumped in the early chapters. He could have addressed the word-count objection by jettisoning whole chapters and weaving the essential information into the narrative. Chapter 1 opens as it should, and develops as it should. Then we hit Chapter 2, which covers the Heller family history going back 100 years to his great-grandfather and working forward to the shooting at the end of Chapter 1. Twenty-plus pages of pace-killing back story. This happens in a few other places, to the point I skimmed to get back to the story. But the story itself is excellent. It's worth getting and reading. And who knows, you may like the family history and the tour of Prohibition Chicago and not skim at all.